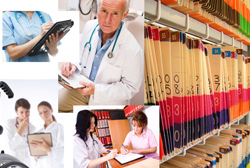 Accountable Care Organizations, or ACOs, are certainly the buzz word in healthcare. If you are a healthcare provider and serve at least 5000 medicare patients, you are either thinking about, talking about, or considering joining an ACO. In preparing for a recent presentation at the WMGMA on this topic, I had to wonder how this idea originated and what was the intent of the lawmakers who put ACOs into motion. The idea of managing care is not new. HMOs began in the early 1970s as an alleged cost cutting tool. Where HMOs served a large population of patients and had an insurance risk bearing function, ACOs are designed for a smaller number of patients and have no insurance risk bearing function inherent in the structure. To give some context to where we are today, we need to go back to 2005 and the Deficit Reduction Act. At that time the government was looking to replace the Sustainable Growth Rate (SGR) formula that was being used to pay physicians under Medicare Part B. In the Act, they instructed Medpac (the Medicare Payment Advisory Commission) to come up with an alternative method. Congress was interested in substituting the SGR with a method that would break the physicians into “pools” that were smaller than the entire population of US physicians that treat Medicare patients. The theory was that if they could group physicians into smaller groups and subject them to spending caps, the caps would work better at controlling costs than the SGR. Medpac held a public meeting in November, 2006 and Dr. Elliott Fisher, Director of the Center for Health Policy Research at Dartmouth Medical School, presented to the commission. It was during the question and answer period of the meeting that the term “accountable care organization” was first known to be used. 1. Foster the development of integrated and organized local care systems with a strong foundation in primary care. 2. Move rapidly toward performance measurement that fosters accountability for care coordination, health outcomes, and overall cost of care. 3. Shift toward a payment method that rewards value. Better care, Better Health, Lower Cost. An Accountable Care Organization is one approach to meeting these goals. For those providers that are familiar with the proposed rules for forming an ACO released by Health and Human Services on March 31, you can certainly see how the government is attempting to put theory into reality.